Hello and welcome to the November issue of "News from the Atoll"! 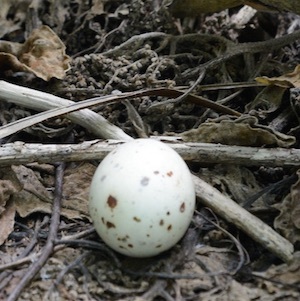 Birds are featured in this issue; our main article discusses a new research project on breeding colonies of Tetiaroa, and our organism of the month is also a bird that is visiting our atoll currently. 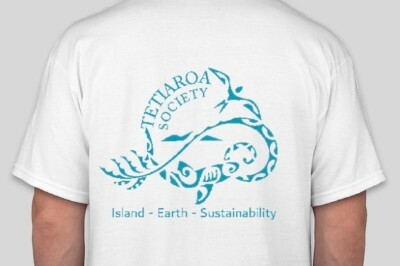 Finally, we share news about our informative "Night about Tetiaroa" event and seek your opinion on our new collection of T-shirts and tank-tops. 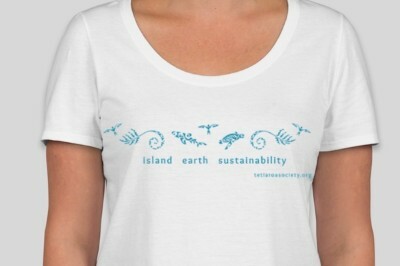 Tetiaroa is one of the last places in the Society Islands where seabirds can nest undisturbed by human influences. However, even on this very atoll, only few motu are rat-free and provide a pristine nesting environment. When seabirds return from fishing to the island they bring important nutrients (in the form of guano) to the island that have a positive impact on both marine and terrestrial systems. 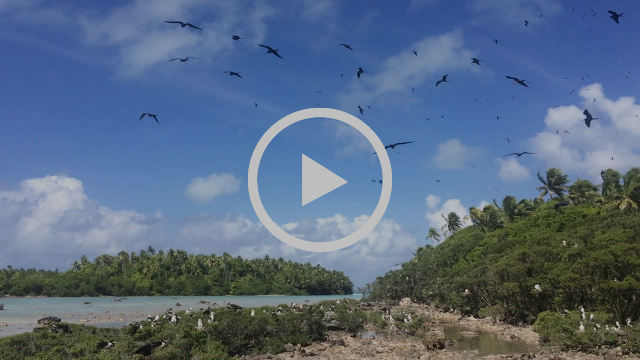 In late October a team from University of Washington began a three year study of seabird population dynamics and health to begin to understand this site and develop a baseline for the population and its effects on the atoll. Data from this will then be used to determine the impact on seabirds when rats are removed. 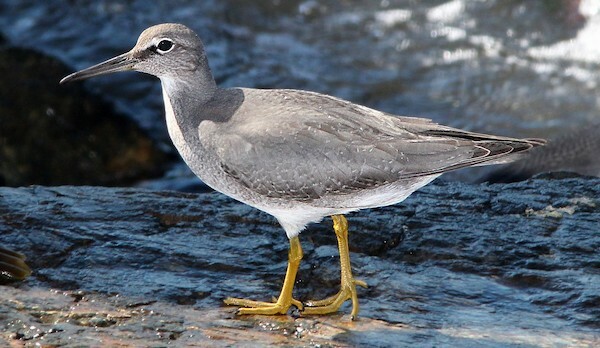 It is the beginning of the Southern hemisphere's hot and humid season, heralded by migrant visitors such as the wandering tattler, our organism of the month. Although it is categorized as a "visitor", this little bird has found a place in Tahitian mythology. It was once a totem for a village on Tahiti, which is now called Mataiea. It used to be called Vai'uriri because these birds were so abundant on the beaches, especially near the mouths of the rivers. For the inhabitants of this Mataiea, the uriri was a carrier of news, perceptible from a distance by its melodious song "oulililili". 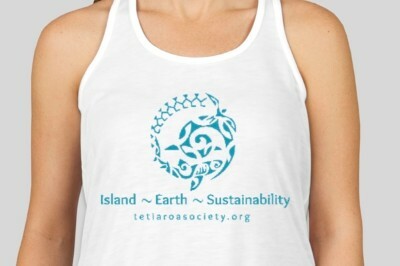 Tetiaroa Society is launching their first collection of T-shirts and Tank-tops, perfect answers for holiday gifts! 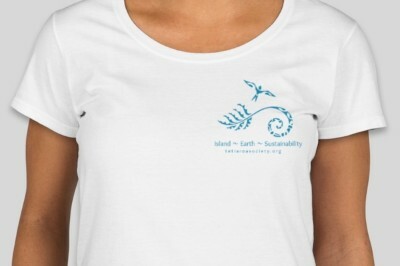 But first, because we would love you to wear our shirts, we would also love to know what you think about these logos. Which design do you prefer? 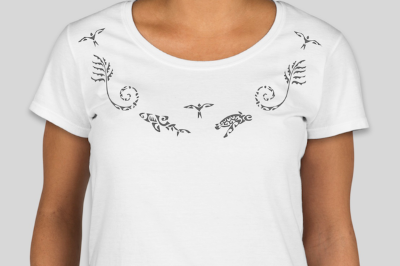 Where would you like it printed on the shirt? 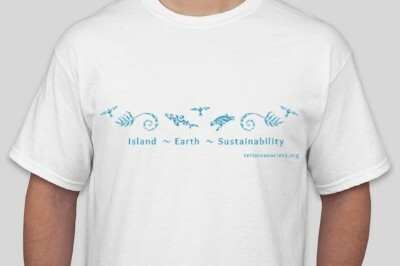 So, please help us out and select your favorite one, or send us an email describing your idea of the 'perfect' TS shirt. On October 18, 2018 Tetiaroa Society welcomed almost 80 guests to a dinner event at the Overlake Country Club in Medina, Washington. The evening was hosted by David Seeley, Richard Bailey and Stan Rowland, and presentations were made by Tetiaroa’s Science Director Neil Davies and Nick Holmes from Island Conservation. Both presentations focused on the unique science projects occurring on Tetiaroa and specifically about the Habitat Restoration Program currently underway. 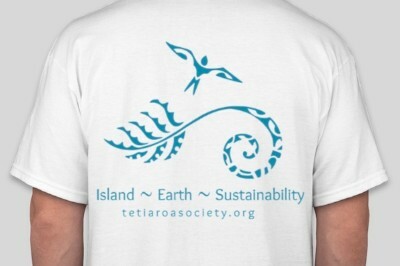 This event was very successful as Tetiaroa Society was able to strengthen its every growing network of supporters in the Seattle area. We hope this sort of event will be the first of many around the United States in the years to come. David, Richard, Stan, Frank, and Dipti - enjoying the festivities.